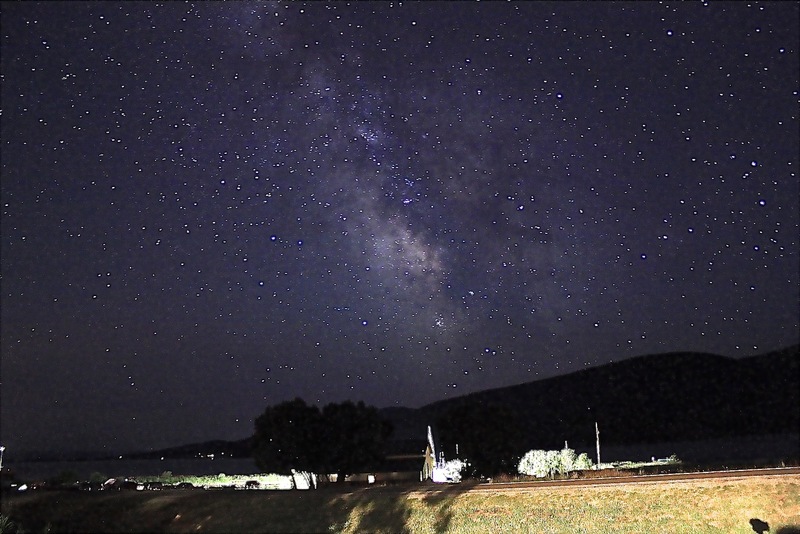 Milky Way above the Lake - This is another picture of the Milky Way I took on my trip to Yellowstone National Park. Here, the galaxy's band is seen above a Lake close to the Park. Some immediately nearby lights illuminate the foreground, whereas the background sky is far from light pollution in this natural rural area far from the lights of the cities.